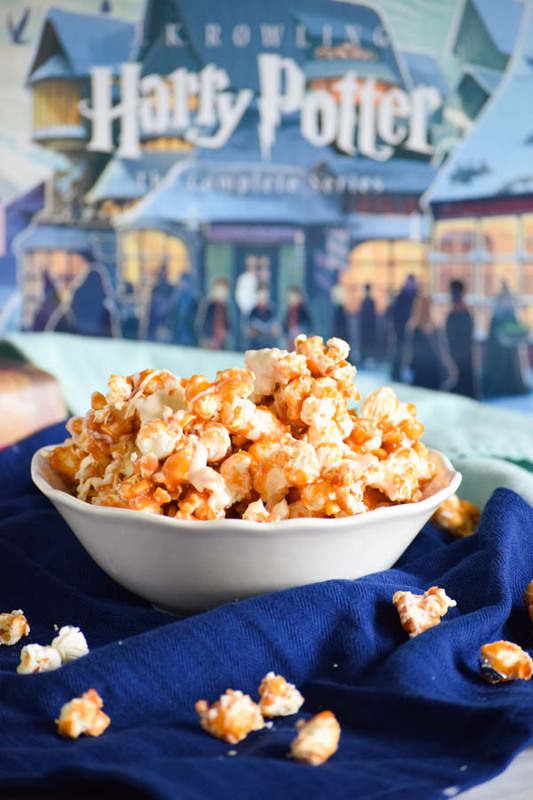 This Harry Potter Butterbeer Popcorn is a snack inspired by our favorite books and the perfect treat for any fan or a Harry Potter movie marathon! This time of year is always so fun! It’s a time to celebrate the birthday of my favorite fictional character, Harry Potter. 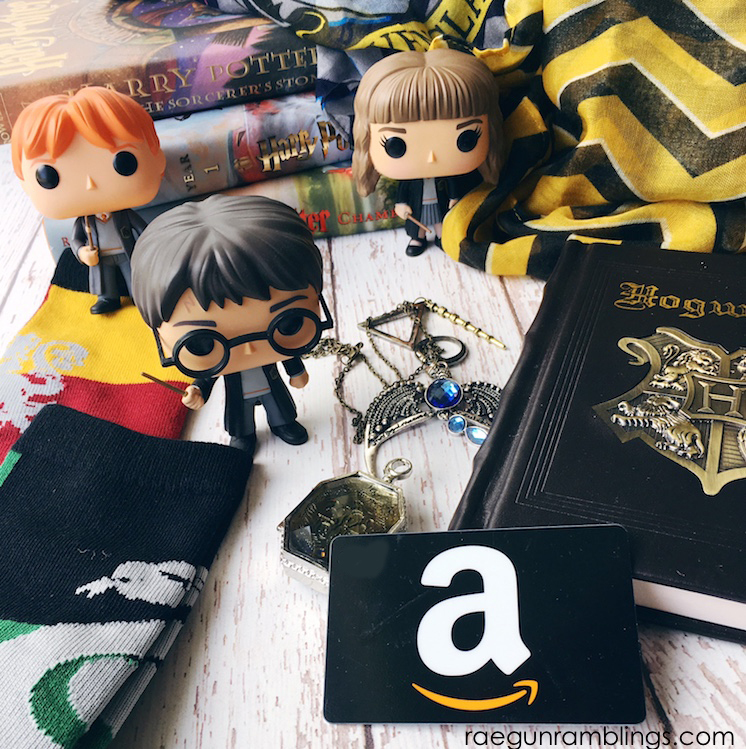 Which also means I’m joining my friend Marissa over at Rae Gun Ramblings for her Harry Potter Series. I’ve been joining in for a couple of years now and I love seeing all of the inspiration from creative people around the web. Harry Potter always brings out so many ideas and I find it hard to narrow them down! I decided to go with a recipe this year, one that my kiddos and I can snack on while reading the books. 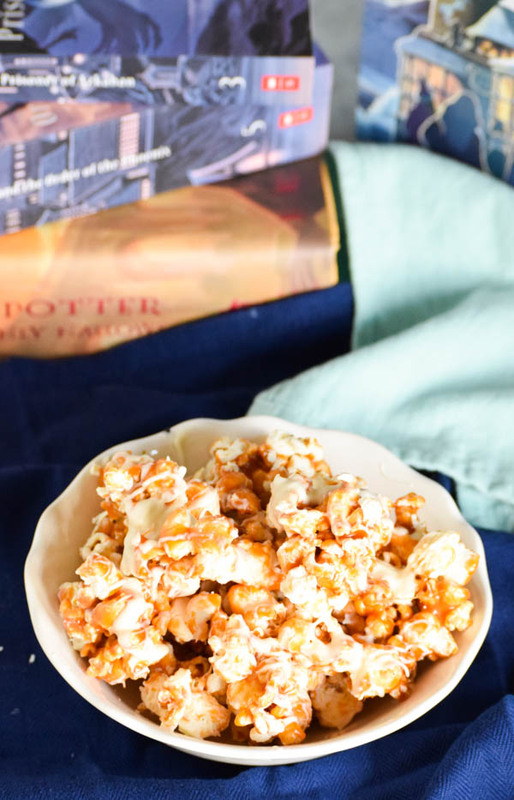 I love caramel popcorn so I thought I’d make my own Harry Potter version with Butterbeer! It’s crunchy, fun to make, and perfect for snacking on while reading. 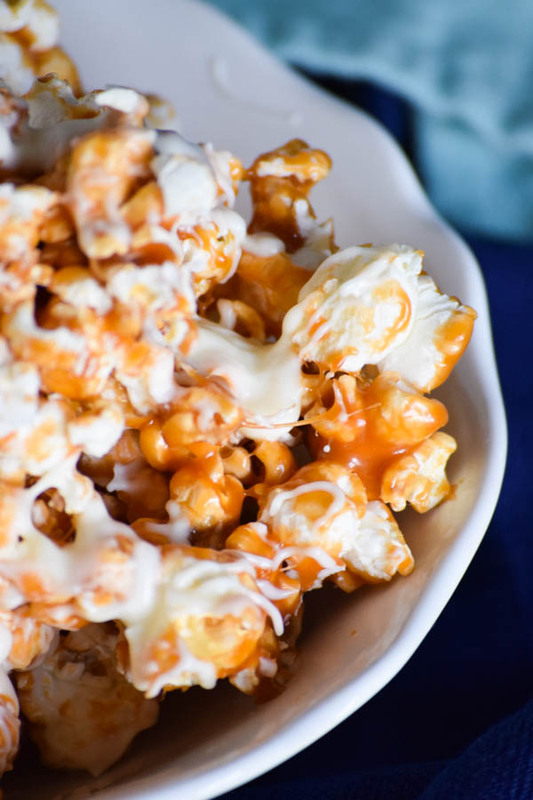 It’s best to use your own freshly popped popcorn for this recipe. I love my little popcorn maker! Here are some of my favs: Presto HotAir Popper and a collapsible microwave popper. The secret is butterscotch chips, butter flavoring, and brown sugar. It’s ooey and gooey and something a little different! And don’t miss out on the baking step. If you want crunchy popcorn that doesn’t stick to your teeth, baking the popcorn is key. If you’re curious about the books in the pictures, I have this amazing boxed set that was gifted to me last Christmas and I love it! It’s beautiful with artwork all around the box and the spines of the books make up the image of Hogwarts when placed together! Good luck! I hope you have fun enjoying all the Harry Potter inspiration and the Harry Potter Butterbeer inspiration! Pop popcorn and spread on baking sheet covered with foil. Bring corn syrup, brown sugar, butter, and extract to a boil until sugar is dissolved. Remove from heat and add butterscotch chips, salt, and baking soda. Stir until blended and smooth. Pour mixture over popcorn and stir to coat over popcorn. 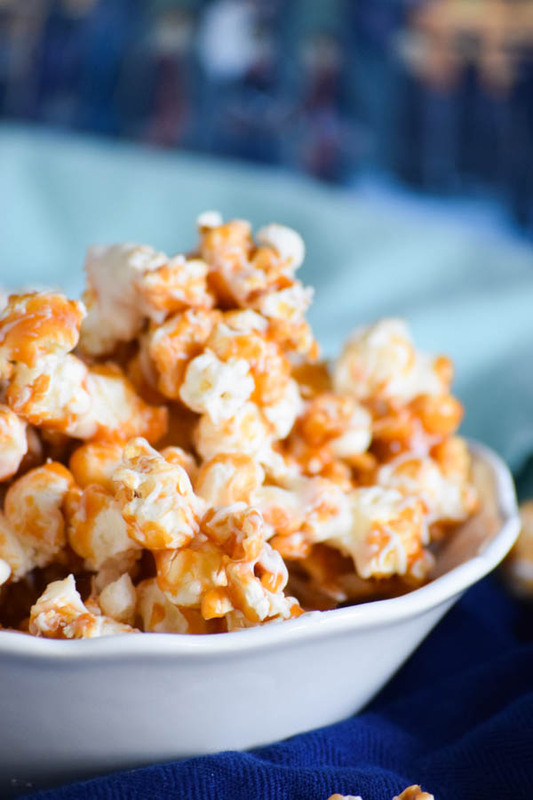 Melt white chocolate chips and sprinkle over popcorn mixture. Remove popcorn from pan and allow to cool completely. Break into smaller pieces and enjoy!